The preliminary competition match numbers include England's home and away quarter-finals matches against Spain in the 1968 competition, which ended in 1-0 and 2-1 victories, and their home and away quarter-finals matches against West Germany in the 1972 competition, which finished in a 1-3 loss and a 0-0 draw. Under the format then in place, these matches were played after preliminary group qualification but before the final tournament. The preliminary match numbers also include England's home and away playoff matches against Scotland in the 2000 competition, which ended in a 2-0 win and a 0-1 loss. Under the format for that competition, the second place team with the best record in the nine qualifying groups qualified for the final tournament and the eight other second place teams were paired for the playoffs with the four winning teams also advancing to the finals. England's 1996 quarter-final match against Spain, which ended 0-0 after extra time, and semi-final match against Germany, which finished 1-1 after extra time, are recorded as draws under the accepted custom although England advanced to the semi-final over Spain on penalty kicks, 4-2, and although Germany advanced to the final over England on penalty kicks, 6-5. 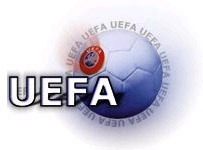 England's 2004 quarter-final match against Portugal, which ended 2-2 after extra time is also recorded as a draw, as is the 2012 quarter-final match against Italy, which ended 0-0 after extra-time. To and including the 1992 final tournament, two points were awarded for a win and one for a draw. In the later tournaments, a win earned three points and a draw one. The table's points averages have been calculated on the basis of two points for a win for all tournaments in order to allow comparison between tournaments. The numbers which represent conversions from three points per win to two points per win have been bracketed.